The “Blaze” heated rug is the first heated rug for horses. The 12 low voltage heating elements in carbon polyester, help heat large areas of the horse’s muscles. Strong and water-resistant, with a small outer pocket for the battery. A brilliant innovation for the well being of your horse. 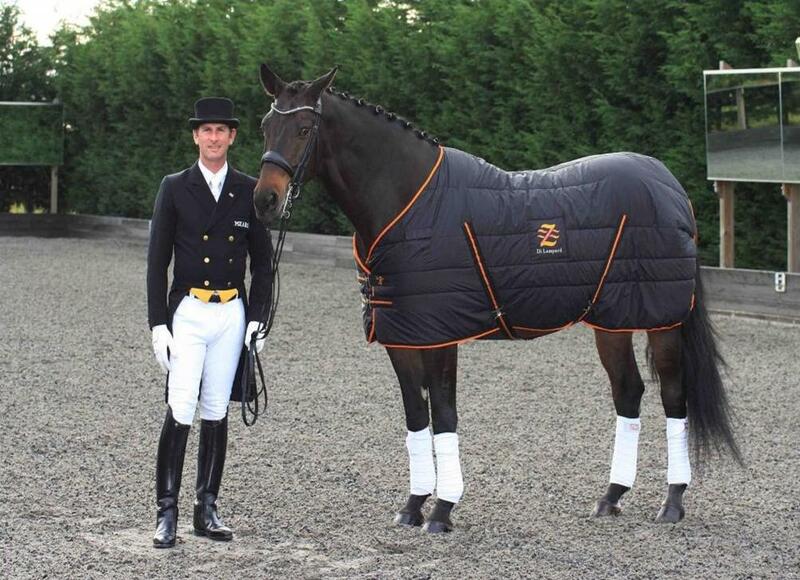 Paul Hayler endorses the blaze heated horse rug! International dressage rider Paul Hayler www.paulhaylerdressage.co.uk with the blaze heated horse rug. Paul has become a big fan of heated clothing and the heated rug and has found the rug to be of great benefit to his horses. Paul told us the following when we spoke to him at his dressage training centre in Chelmsford. "When I was introduced to the blaze heated rug, I instantly saw the change in the horses before warming up on cold days. The horses that previously were slow to start the warm up would be visibly ready to go after wearing the rug for short periods and we really noticed the difference in them."